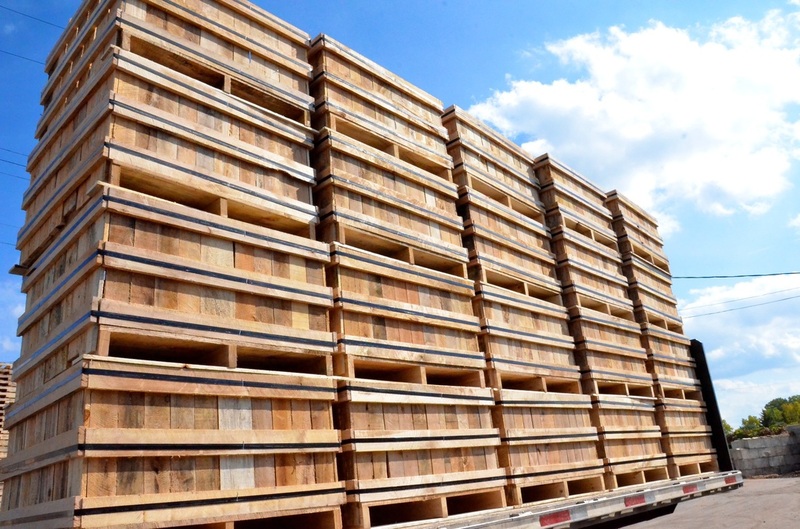 The most common question we hear is, "What is your standard pallet?" At C&K Box there is no such thing as a 'standard' pallet. 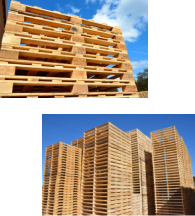 We do, however, make top caliber pallets in all the common sizes (48x40, 48x45, 42x42, 32x30) plus many, many, more. Style? We've got style...Stringer Pallets in 2-way or 4-way, Block Pallets with full 4-way entry, GMA Pallets, Heavy Duty Pallets...you name it...your needs are our guide. Think we're just a pallet producer? Think again...after all "Box" really is our middle name! We are proudly one of Michigan's largest box and crate producers. From forging style boxes banded with steel strapping to export and domestic crates constructed with OSB or Plywood, we can do it all. Tell us about your unit load and we'll design a crate to meet your requirements. Need corner posts to add stacking strength to your corrugated boxes? C&K Box can make them any length, Heat Treated or non-Heat Treated. 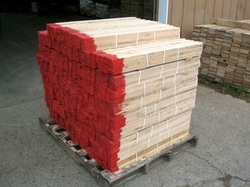 We produce pointed stakes from 3/8" to 3/4" thick , hardwood or softwood, in a variety of lengths. Need to color code them? We've got you 'covered' there too...we can paint them to your specifications. ...We can safely get your products where they need to go!